Wa. Dept. of Ecology data of air quality from August 28. Mr. Dahmmapala says that, compared to previous years, smoke from the fires is unprecedented in the number of people exposed to bad air quality. 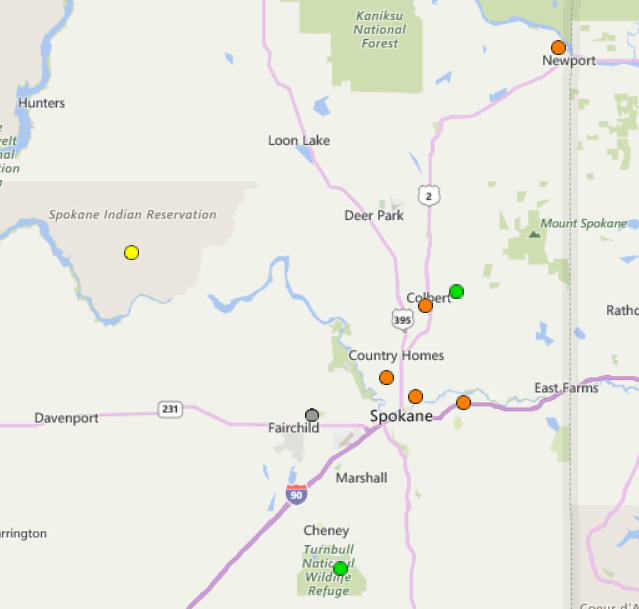 He says there was no good air quality recorded at any of the air monitors in Eastern Washington on Monday, with most locations reading unhealthy. For the last several days, you’ve seen with your own eyes the wildfire smoke that is hovering over our region. But other sets of ‘eyes’ have also been ‘seeing’ that smoke and taking samples of it. 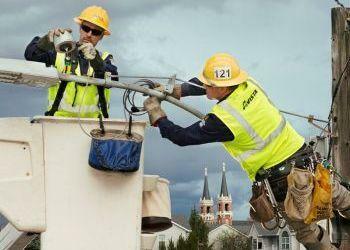 Among those ‘eyes’ are three sensors that sit on the tops of streetlight poles in Spokane’s University District. Brian Lamb, a professor of atmospheric research at Washington State University, says all of the sensors are showing elevated levels of particulates from the smoke. But, Lamb says, when the smoke is gone, the sensors show some interesting air quality differences that confirm the phenomenon that we know as microclimates.